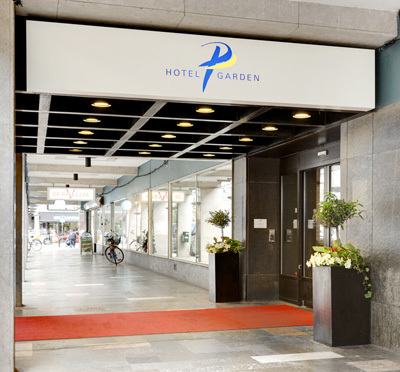 Hotel Opera in central Gothenburg offers a modern environment and purposefully furnished conference rooms in Gothenburg. We create the conditions for a successful meeting, regardless of the nature of the meeting. All our rooms are equipped with projectors, and we also have a video conference available in the house. Hotel Opera offers conference solutions for full or half-day arrangements. The meeting packages include coffee, lunch and dinner, as well as some kind of ending activity according to the company's wishes. Hotel Opera is your business hotel that creates complete solutions and combines efficient workflow with relaxing community. With a total of 198 rooms, Grand Hotel Opera can accommodate 350 sleeping guests. The rooms here have everything you would expect from a city hotel. The interior is decorated in tasteful, bright and clean colors. A variety of price and style categories make the choice easy for meeting planners. 4 conference rooms and 1 smaller group room are available at this establishment. This makes the conference feel intimate and personal, and that the company does not get crowded with others. Most of all is Aida, a room that seats 65 people in theater style, and can also be refurbished to suit other seating. In Tosca, 30 people can sit, and for the smaller groups there is Carmen, max 12 participants, and the group room for up to 8 people. Our new addition is local Aniara which takes up to 6 people boarding. Serves breakfast, lunch and dinner. start the day enjoying our delicious breakfast buffet. For lunch you can choose between the day's meat and fish as well as the vegetarian or salad of the week. We also have our nice sandwich buffet, served only during lunch. Hotel Opera gives you every opportunity to keep your body and mind in trim. At the hotel you will find our modernly equipped wellness center with the possibility of exercise and relaxation. In fresh and modern premises you will find a swimming pool, sauna, steam bath, cooling pool, foot bath and solarium. Have you been to Hotel Opera and want to give your own comments?